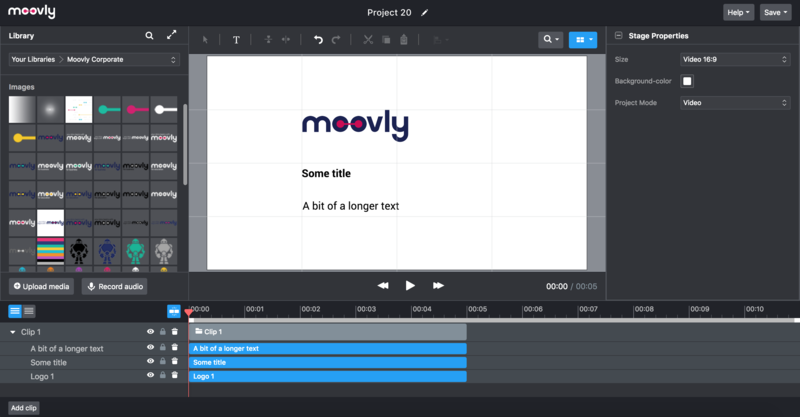 If you are on one of the Moovly paid subscription plans (Pro, Edu Pro, Enterprise...) you are able to create your own templates. Templates are basically reusable and editable projects. In other words, they are created from projects. 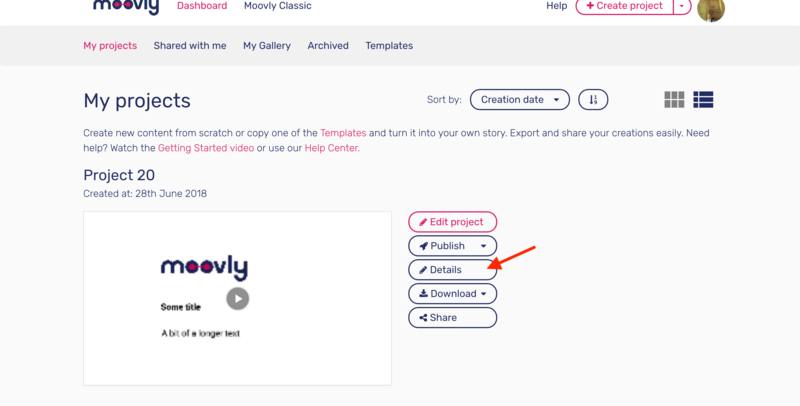 So before trying anything, go to the Moovly dashboard and create a new project. 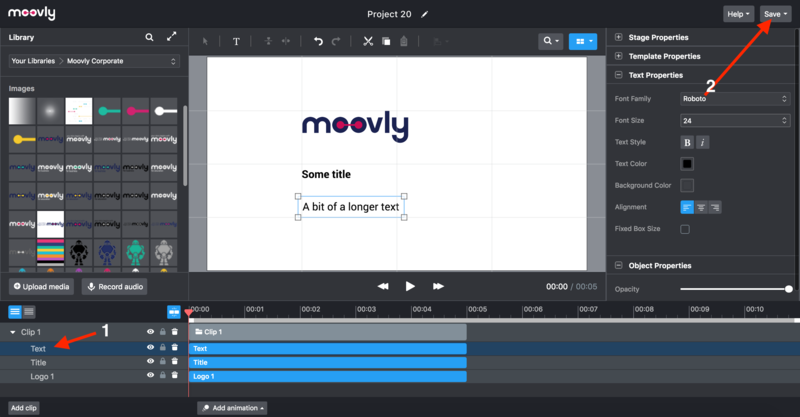 Once you have the Moovly Editor open, you'll be able to add videos, photo's and text. Do this to your hearts content. If you are happy about the structure of your video, add some placeholders (this could be text, but also video or images) to be replaced. Change the settings that are available to you for the template, and change the name of the variable. This is important for the form that will be rendered. 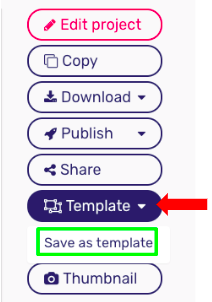 Your personal templates will also appear in the Templates section and you'll be able to use the Quick Edit form with them: all the objects you have marked as template objects (as described above) will appear in the form. 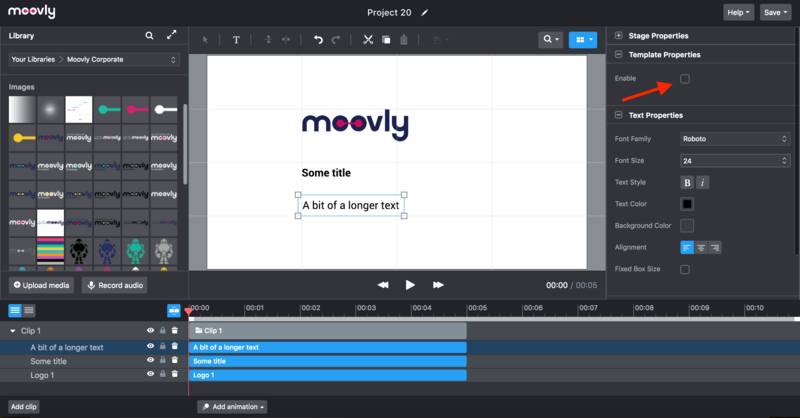 This way, you can easily and quickly derive new projects from your templates without having to open the Editor! How to use and find templates for your project?